Costs – Compare your arborists’ quotes against the reported averages in Chattanooga, Tennessee, which we have for you here. FAQs – Find out which trees thrive in Chattanooga versus which ones you might need to reconsider, along with more important info about the tree culture of the city. Services – Need to find an arborist near you? We have a list here! How Much Do Tree Services Cost in Chattanooga? Chattanooga, the fifth-largest city in Tennessee, is beautiful and family-friendly. 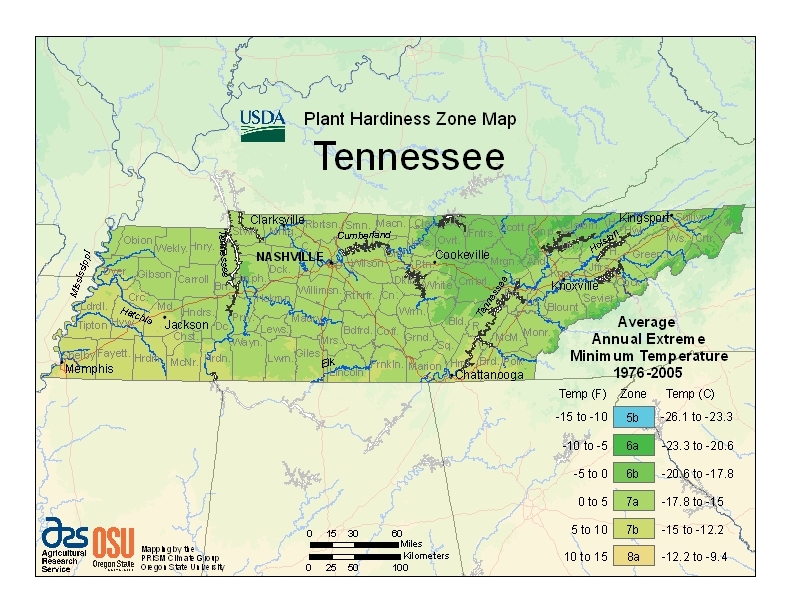 Due to a mild climate, the Tennessee River flowing through and a significant amount of rainfall each year, the city offers a haven for many trees and plants. Although these trees can be beautiful, sometimes the expense and problems that come with having trees on a property are too much. Tree removal prices vary significantly depending on the size and type of tree as well as the labor needed, which is calculated based on how much difficulty is involved in removing the tree. On average, people in Chattanooga spend about $550 to remove a tree. Costs can be as low as about $250 for a small, easily removable tree or as high as $900 for a large tree that requires more labor. As with trees, stump removal costs fluctuate. Grinding down tree stumps is the most cost effective way to rid them from your property. Removing an average-sized tree stump can cost as little as $75 and as much as $130. The removal of a large tree stump could be as expensive as $140. Most of the cost for this service goes toward equipment rental, which will be between $60 and $80 for any size stump. While tree removal can get pricey, it is a one-time cost. Caring for trees can sometimes be expensive as well. When caring for trees on a property, it is important to ensure that there is adequate water and fertilization. Also important is ensuring the trees remain disease free. In Tennessee, the average cost of maintaining trees and shrubs is $530. A variety of trees and other plants grow well in Tennessee, particularly in the Sequatchie Valley region where Chattanooga is located. Because so many types of trees grow well in this area, an array of species can be found throughout. When changing landscaping or putting in new types of trees, it is important to know what the regulations are and what types of trees will grow here. This city takes trees very seriously. There is a Chattanooga Tree Commission that is responsible for making sure that the city tree ordinance is carried out correctly. They are charged with verifying that trees on public property are being properly maintained. They also ensure that there is no damage to public trees by residents of Chattanooga. Additionally, new plantings are the within the purview of this commission, which is required to include at least five members that fall within the realm of arborist, landscape architect, city planner or developer. Applications are required to plant or remove trees on any public properties. There is also a permit required to be submitted when adding or removing large trees that could impact any underground services. Sometimes, private property owners are required to replant the same number of trees that they are removing, depending on where they live. City requirements should be researched before beginning any major landscaping projects. 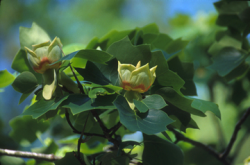 The state tree of Tennessee is the yellow or tulip poplar. It features colorful leaves that are golden yellow. In the right conditions, these trees can grow several feet per year. When fully grown, Yellow Poplars can be as tall as 70 feet. While these trees are beautiful and suit the environment in Tennessee well, there are many other trees that thrive in this region. Hardy trees that grow well in various conditions are best for this region. 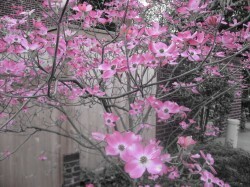 Trees that are native to Tennessee blossom here, including river birches, maples and sawtooth oaks. The Japanese maples are low maintenance for homeowners that want to reduce the cost of caring for the landscape. A wide range of flowering and fruit trees thrive here too. Fruit trees that grow well include Fuji apple, black Tartarian cherry, Elberta peach, Kieffer pear and Moorpark apricot. For trees to grow well, proper care and disease prevention is necessary. There are several diseases that are important to watch for in trees. A common one is anthracnose, which is a fungal disease that commonly attacks maple or fruit trees. Symptoms are spots on leaves, cankers, large dead areas on leaves and spots on fruit. Anthracnose can be controlled with mancozeb or cupric hydroxide if found early. Another possible disease is powdery mildew. A gray, powdery growth will be seen on leaves, and leaves will then become brown and shriveled. Sometimes, leaves will change color early due to the disease. This disease can be controlled and prevented with a sulfur spray. Fruit trees are vulnerable to a number of other diseases as well. Sooty mould, pear scab and die-back can all be found in fruit trees. All of these can be controlled if caught before the infection is too severe. Nematodes, which are small worms, can also attack fruit trees if the soil does not have enough organic matter.